I have been asked by family members and friends about my meal planning technique, how to stay on top of it and why to even bother with it. If they find my suggestions and tips helpful, maybe others will as well. This is why this blog post exists. I realize this is a long post but there are some good tips in here that I hope you will find useful. When it comes to food, I am a planner. I believe that 30 minutes once a week of planning can save time throughout the week from grocery shopping and can save money long term. I am a meal planner and proud and if you are interested in eliminating waste and have had enough of frequenting grocery stores more than 2x a week and eating out because “you have nothing to eat at home,” then you should meal plan too! First let’s talk about a few misconceptions of meal planning. A) It takes too long to meal plan and I don’t have the time. -FALSE! Meal planning does initially take a bit of time (especially when you are first getting into it) but I would much rather spend on average 3o minutes one day planning breakfast, lunch and dinner for the entire week rather than stressing everyday over what we are going to eat that day. You save time long run and simply can’t afford not to meal plan. Midweek (talking Wednesday/ Thursday) I am more likely to not feel like cooking and want to eat out because I feel tired and honestly lazy. The benefit is that I know that and can plan meals around that feeling. Since I know I am more likely to not want to cook during those days, when planning meals I try to incorporate easy ‘week day’ meals that keep me from eating out. These meals keep money in my pocket (eating out is so expensive), save me from stressing and keep me from pigging out on foods that are not as healthy. In the end, meal planning is using your time wisely. B) Meal planning is hard. -Once again, FALSE! Meal planning is simple once you learn the tricks of it. I will not pretend to not get frustrated or held up during the meal planning process but it can be fun and even exciting to plan meals. I will give some helpful hints below that make it less intimidating. C) Meal planning is not for people who like fresh produce because fresh produce doesn’t last the whole week. -I find meal planning is really helpful, ESPECIALLY in regards to fresh produce. Before meal planning I would buy something fresh and put it in the back of my fridge or in one of those refrigerator drawers (drawers of doom because seriously, who knows what’s in there after awhile?!) that are supposed to keep produce ‘fresh’ and completely forget about it until it was moldy and leaking gross juices everywhere. For example, I remember this time when I bought some spinach. I was excited because I was planning on making a salad and maybe sauteing some for a side dish. Well what actually happened was I put it in the drawers of doom and forgot it existed until it was growing life on it’s own. D) Meal planning is lame! -Triple FALSE. Meal planning rules and all the cool kids are doing it. Now that you have been swayed to the power of meal planning, let’s get to some of the tips I live by to make my life easier and to keep my fridge stocked. Grocery shop on the day that your local farmer’s market is open. For us, this is Saturdays. This keeps locally grown food in your home and supports the local food economy (all great things). This also ensures that you are buying in season produce which is good for mother earth and is less expensive on your wallet. Win/win. Try to grocery shop in the mornings because there are less people and less people mean less waiting time in lines to checkout and less headaches. Don’t be afraid to buy the bruised or not as pretty produce! They taste as good and unfortunately they often get overlooked because they aren’t ‘perfect’ and get tossed when they don’t sell which is pretty darn wasteful. 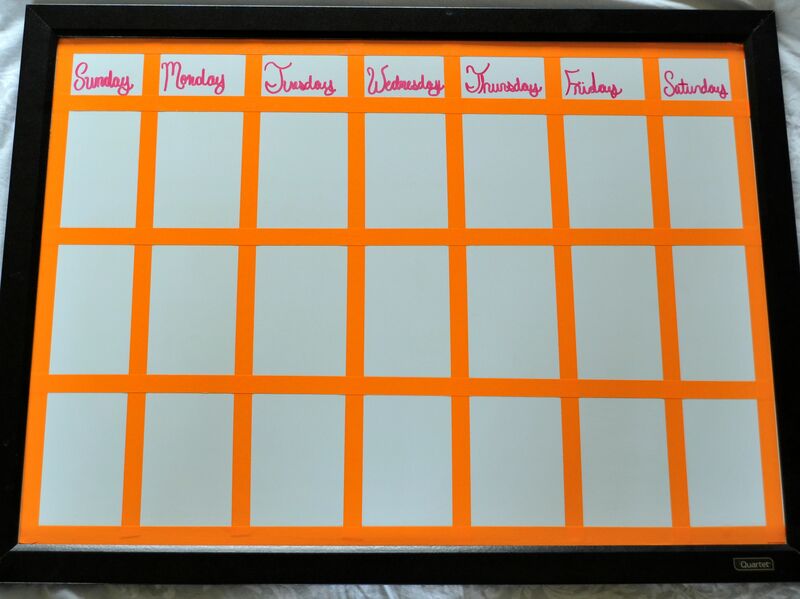 Try to get a schedule going of when you go every week. I go Saturday mornings because that’s when the farmer’s market is open and because generally, Saturday’s are not a common grocery shopping day. I also go Wednesday mornings because that’s the other day the farmer’s market is open and it’s the perfect midweek time to restock on vegetables and fruits. If your goal is to incorporate more veggies, than you have to understand that shopping one day a week for everything is not going to cut it because fresh produce has a short shelf life. On average we food shop twice a week. Know the layout of the store your frequent. After a while you want to learn where the gourmet cheeses are, the fresh produce, the range free meats, etc. The goal isn’t to spend a whole day in a shopping store. You want to get in and get out and knowing the layout is key in doing that. 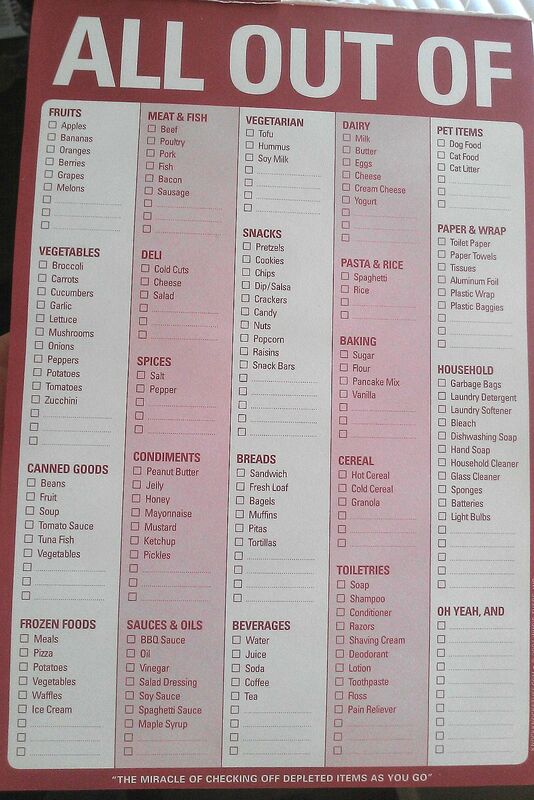 Make a shopping list that is available to everyone in your home and as things run out (like cereal for instance), people can check that it needs to be restocked. I use this: and it’s kept on the fridge. It’s a great tool because both my husband and I can mark off things as they run out. These sell at most retailers but I am thinking about making my own version and will link it here if people are interested. Buy vegetables you are not used to. One of the coolest thing about farmer’s markets is that the people there are super friendly! When I first started going, I honestly did not know what a lot of the produce was, let alone how to cook it. I used to just walk away feeling embarrassed that I didn’t know what a patty pan was and grab something I was familiar with like green beans but then I started asking questions. They were kind and helpful because they grew this food and loved talking about it! Many even offered cooking suggestions. It’s okay to step out of your comfort zone! Keep the menu visible to all and leave explicit details if needed. This is the board I use to keep track of our meals: It’s secured on our fridge and right above the “All Out Of” checklist. I love this system because it’s like eating at a bistro everyday (except I am doing the cooking) and everyone knows what we are eating which is great because some times the primary person who cooks can’t on a certain day for whatever reason. For me that’s anytime I have a late class and my husband is able to look at the menu and go from there. Make meal planning a family effort. My boo thang helps (on occasion) with the menu selection process and it’s a nice way to bond and exchange ideas. We look through cookbooks together and it can be a lot of fun. If you have kids, get them involved! We both look forward to the day when our kids will help us and express what they want to eat. Do this the same time every week! I cannot stress this enough! It’s really easy to fall off the meal planning wagon if you don’t keep to a schedule. Meal plan every week the same time and grocery shop the same time. Start with a base ingredient. I usually start the process with thinking if there are any new recipes from either a cookbook or another food blog that I want to try. Doing this is great because many new recipes call for fresh herbs or other ingredients you may not always have on hand. I used to buy fresh herbs for a meal and then not know what to do with them because most recipes only call for a small amount and they sell them by batches in super markets (we are going to start growing our own this spring). Plan a couple of meals through out the week around the herbs you are buying. Plan for all meals– not just dinners! I say this because it’s super easy to neglect breakfast and lunch during meal planning which can ultimately lead to eating out. Be smart and save your cash by planning lunch meals that satisfy. Invest in a good lunch box. 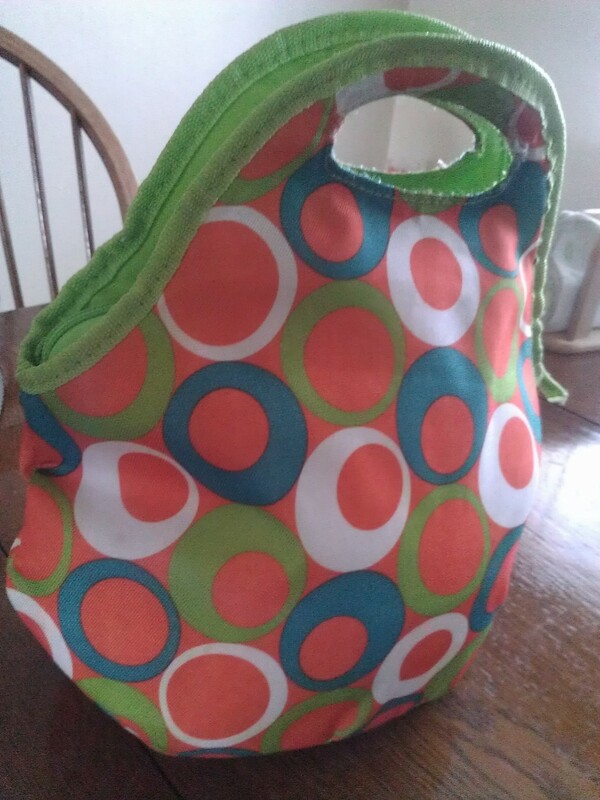 This is the one I use (awesome Goodwill find) and it’s insulated, large enough for me and cute. 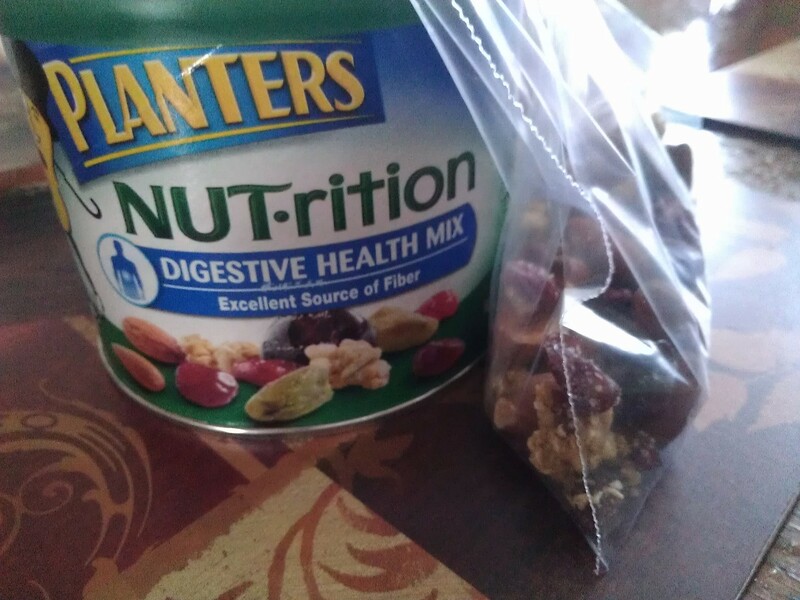 Pack snack ahead of time. This is by far one of my favorite tips. After you go grocery shopping I like rinsing all my produce and chopping/dicing/slicing most of it that way it save major time during the week. I also like opening a bag of chips, peanuts or whatever and dividing them into serving portions and putting them in reusable baggies. That way through out the week we can just grab our pre- ready snacks on the way out. Use leftovers for lunches. This seems like a no- brainer but is often over-looked because many people assume that a dinner meal can be a left over but only for another dinner meal. If one night you make enough food for left overs, use it for lunch. I usually try to avoid using leftovers from the night before for lunch the next day. I prefer waiting a day or two before serving it up again and I like serving it in a new way. For example, I made Parmesan eggplant Sunday and on Tuesday I used the left overs and made Parmesan eggplant sandwiches with homemade bread, cucumbers and a side salad. It was the same eggplant dish from Sunday but totally dressed up in a different way and seemed to make a different meal that both the hubs and I loved. Make what you can at the beginning of the week. This is another one of my favorites. Some weeks I plan a Tex-Mex style dinner for later in the week and need salsa for it. So instead of trying to make salsa that night when I am doing a million other things, I make it Sunday. This allows us to use the salsa during the week (huevo rancheros or as a dip for instance) which goes back to the early idea of starting with a base ingredient. I also do this when I want to make granola bars, homemade trail mix, homemade pastas, breads, black bean burgers, soups and the list can seriously go on. I make them Sundays which eliminates time later and I don’t spend money on foods I can easily make at home. Be creative. Try new recipes at least once a week. One of my favorite things to do is to make a decadent breakfast on Sunday mornings: homemade stuffed french toast, eggs, homemade hash-browns, huevo rancheros, etc. The whole point of meal planning is make your life easier but to also get some new foods in your life and foods that excite you! Use your freezer! I mentioned earlier that I like to shop at the farmer’s market. A cool aspect of it is that you can buy in season produce and it’s way cheaper! So when your grocery store has a sale on produce but you don’t think you will use it all in a week but also know that you will miss it when it is out of season; it is OKAY to stock up on it. I buy produce when it’s on sale and then I clean and cut/dice/chop/slice it and keep out what I need for the week and freeze the rest. This works especially well with corn, bell peppers, onions, zucchini, most squashes and green beans. You can buy bags of frozen produce but why not just make your own? I also do this with fruits like peeled and ripe bananas, all berries and seedless melons. We have amazing smoothies year round because of this trick and rarely have to pick up a frozen bag of fruit. The key is buying when it’s fresh and cheap which means buying in season. These are my tips for meal planning. If you have more please share them! Meal planning is wonderful and I hope you give it a try. Thanks for the tips. I have a seal a meal but it didn’t dawn on me that the frozen corn and zucchinni I was buying could be done with the fresh produce I buy. We have a veggie market here with good prices ($1 or @ dollars a basket full ) which is too much for the 2 of us to eat but now I see I can save by freezing in the seal a meal bags the produce I am not going to be using.No more wasting soft veggies!! $1 for a basket full of veggies sounds like a little slice of heaven. That’s an awesome deal! Hope the tips help!